When a scientist wants to put a new gene into a plant—for basic research purposes or to boost the health or nutrition of a food crop—they usually rely on Agrobacterium tumefaciens to get the job done. Agrobacterium is the bacteria that causes crown gall tumors, large bulges on the trunks of trees. Decades ago, scientists discovered that when the bacteria infected a tree, it transferred some of its DNA to the tree's genome. Since then, researchers have co-opted this transfer ability of Agrobacterium for their own purposes, using its transfer-DNA (T-DNA) to move a desired gene into a plant. Not only in Plants, but also in Animals ! We have so much potential in Genetics on our hands. Take 20 Breeds of Dogs. Do their whole Genomic sequencing. Then, mate them together and find whole genominc sequencing of their progeny. FIND WHAT HAPPENED and use that knowledge. The Earlier the Research, The Better ! When "discussing" genetically engineered plants, "science" always "assures" that it is necessarily safe. They depict the process in a simple fashion, just putting a gene in between two other genes. This article indicates that it is an uncontrolled by product of infection of the host plant with a bacterium. No mention is made of what other effects the bacterium may have, other than inserting genes into the host. They article says that there can be "desired" and "undesired" outcomes of infecting the plant with a gene. The article describes alterations in histones, which wasn't wished. And uses the term "in an ideal world:, indicating that what really happens in genetic engineering is far from what would be wished. And uses the term "in an ideal world:, indicating that what really happens in genetic engineering is far from what would be wished. ". . . their methods offer a path to a better understanding and surveillance of the effects. 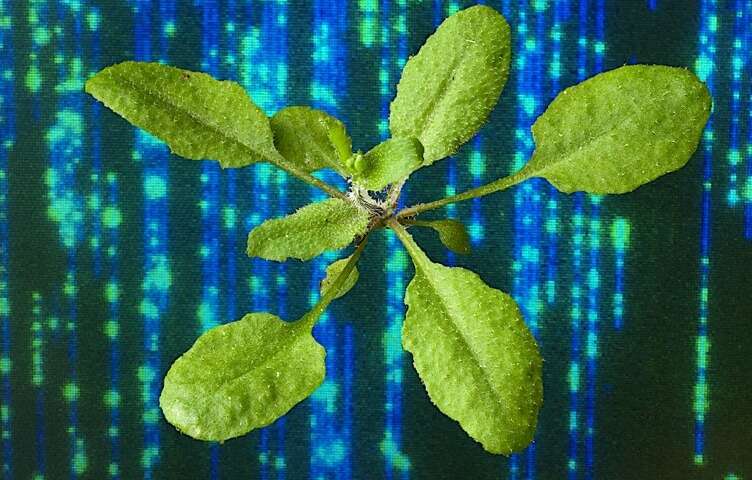 This technology is exciting because it gives us a much clearer look at what's going on in some of these transgenic Arabidopsis lines," says Rivkin. The article is about learning more to overcome the negative effects of editing. This is how progress is made- incremental steps. Gribbles: LESSON To us On Making CLEAN Renewable Energy (NO Co2 in AIR -- Which Happens Even While Manufacturing Solar Panels & Wind Turbines) By These Gribble Pests Found in Sea that Eat WOOD & Live !